We guess that basically everything a person does on a daily basis can lead to disappointment. It doesn’t matter if you are at home or in your office or if you are alone in front of the computer or in a public place among hundreds of people. There is always something that can infuriate you or disappoint you and this is why the list below exists. It serves as a reminder that you should never take these moments too seriously. Even if someone played you or deceived you, it is probably not a big deal. Having zero expectations and going with the flow is the key strategy to avoid disappointment. We need to admit that the prank is actually very well-designed and it was pulled off perfectly, but it is still really rude! Imagine the anticipation this person had when they opened the present and found this box. Nobody would be indifferent to a Nintendo Switch, right? Well, the disappointment hit them fast immediately after opening the box. 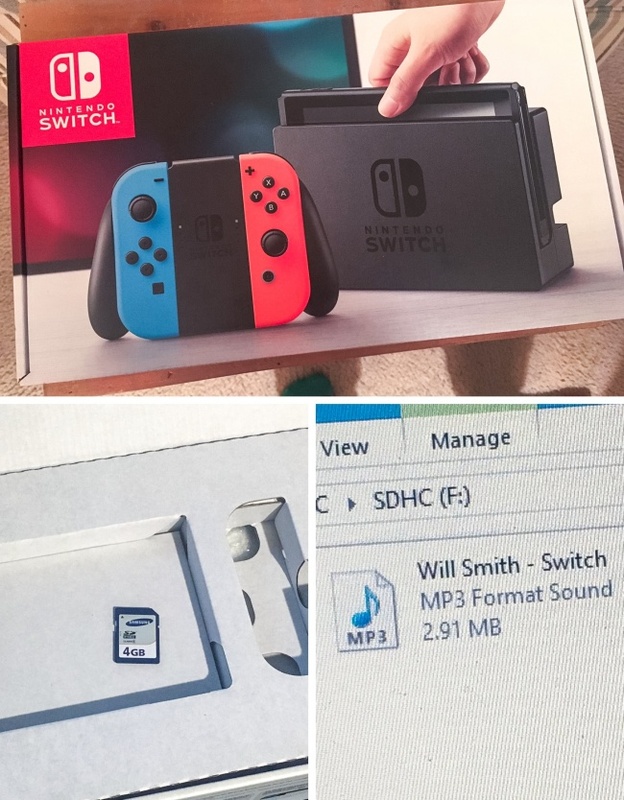 Let’s hope they gave the poor person the actual Switch after that. This little girl has the cutest smile on her face. 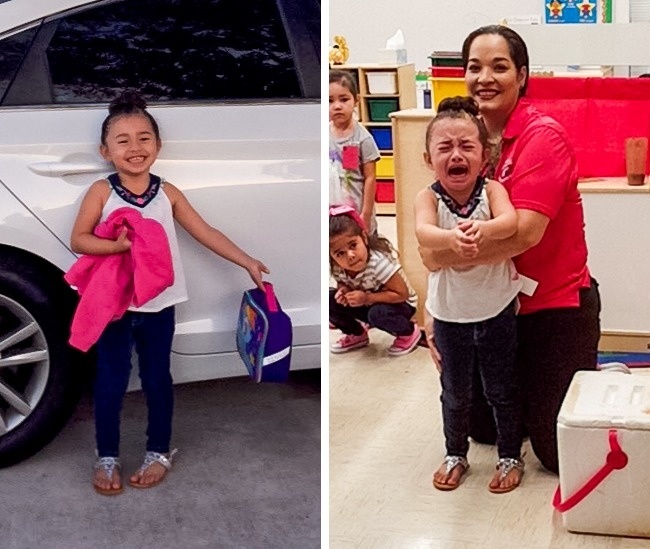 She was excited because it was her first day at school! She had no idea what to expect, but her big sister ensured her that it was going to be a lot of fun! However, everything changed instantly when the girl realized her sibling cannot stay at school with her! It is clear to see that the child reacted really emotional! 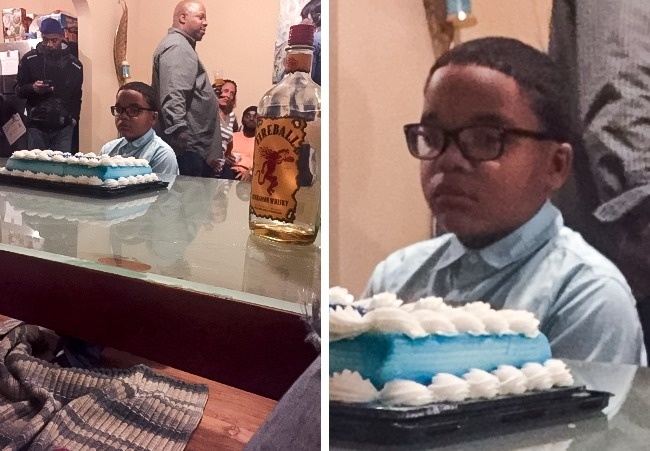 Well, technically his mom did organize a party, but it was not for him. As you can see, everyone around the kid is minding their own business and what is more important – they are adults! One other clue indicating that it was a grown-ups’ party is the nearly empty bottle of alcohol. But the most important part is the kid’s long face! He is definitely frustrated about the whole thing. This image is actually interesting because of a few things we are not aware of. First, we have no idea why this kid looks disappointed, but that face clearly says that something did not go according to plan. Second, we wonder what the reason for that make up was. 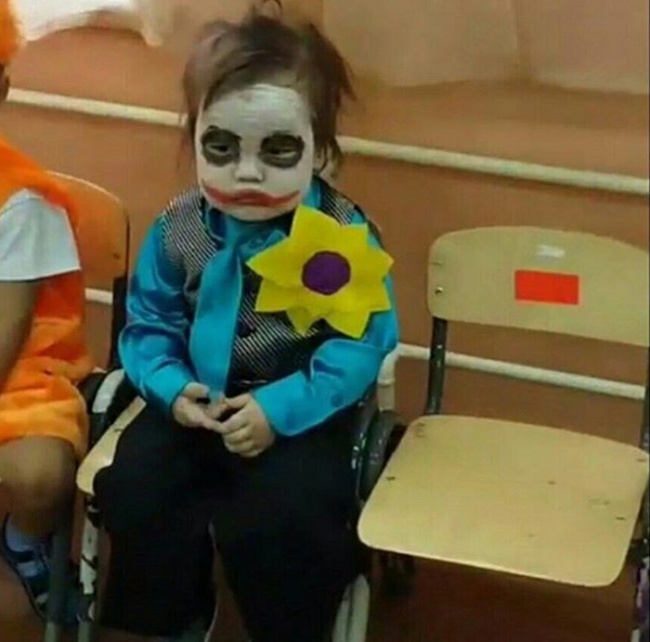 It was probably not a school play, because it is unlikely that such event would include the Joker in its scenario. We hope that the kid felt happier soon after the photo was taken. We believe that most people would immediately relate to the struggle shown in this photo. 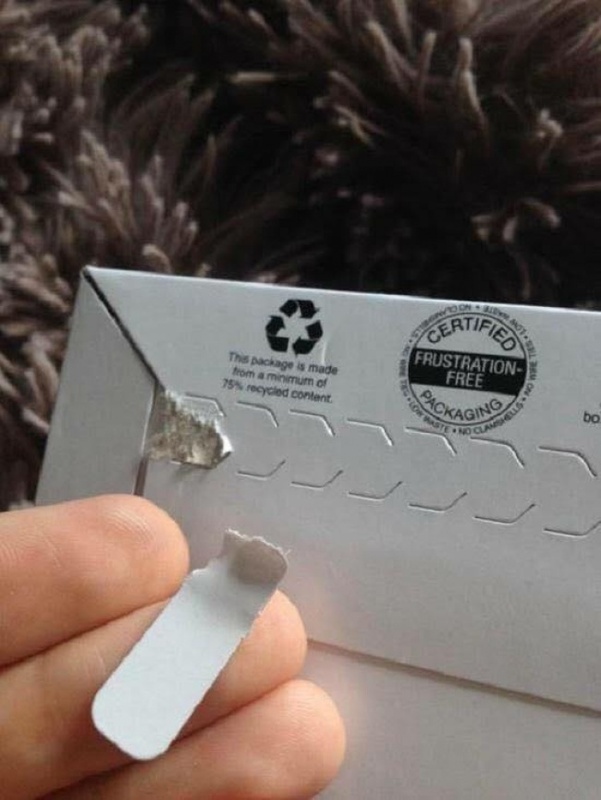 Whenever we try to open a package like this, we end up with the same result as shown in the image you see. What bugs us even more it that the package was supposed to open with just one pull! As you can see, there is even a logo proving that this type of packages are certified and proven to be frustration-free, but the reality is different! It appears that sometimes people might have the desire to help you, but this does not matter at all if they lack the proper skills to do it! Even when you ask a friend to do something as simple as taking a photo, you might actually be disappointed by your own decision. 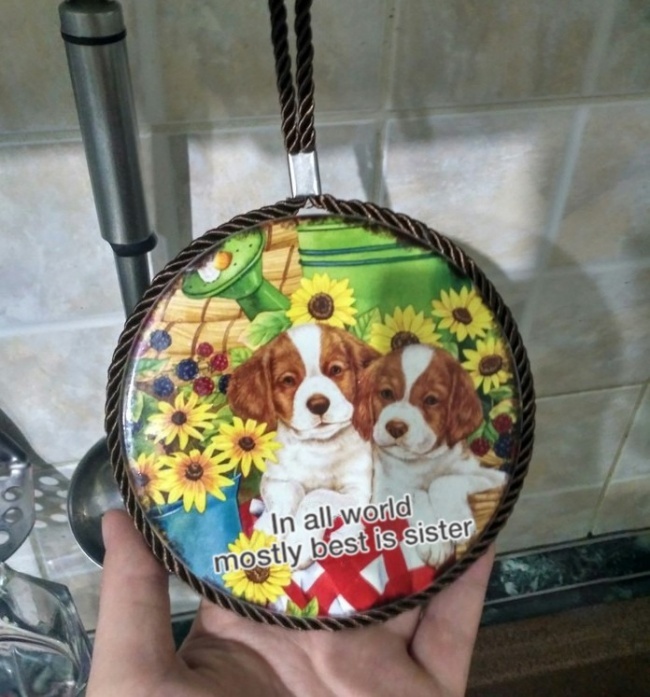 This person wanted something specific and received the worst possible end result. 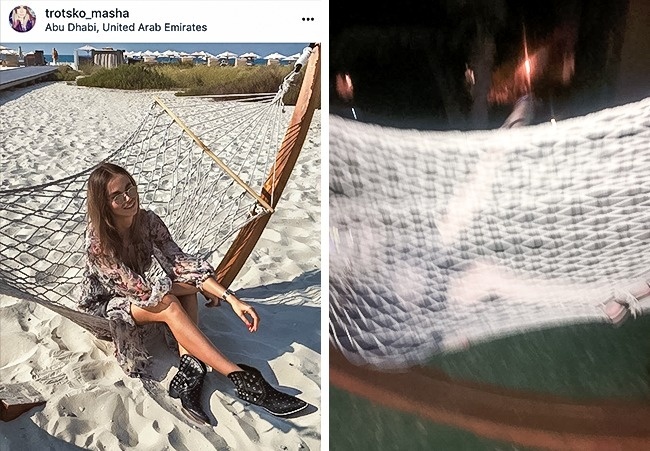 You cannot even tell what the second image features. We have said it before and we will say it again – online shopping is a risky thing and the chance for you to be deceived is very big! Of course, when the item you ordered turns out to be significantly different from the one in the ad, the feeling of frustration is definitely going to settle in! This person felt exactly that when the gift they ordered via AliExpress finally arrived. It does not take much to guess when someone feels like giving up, and this man definitely feels that way! It is easy to see why he has that long face when you check out the detail of his and his wife’s outfits. 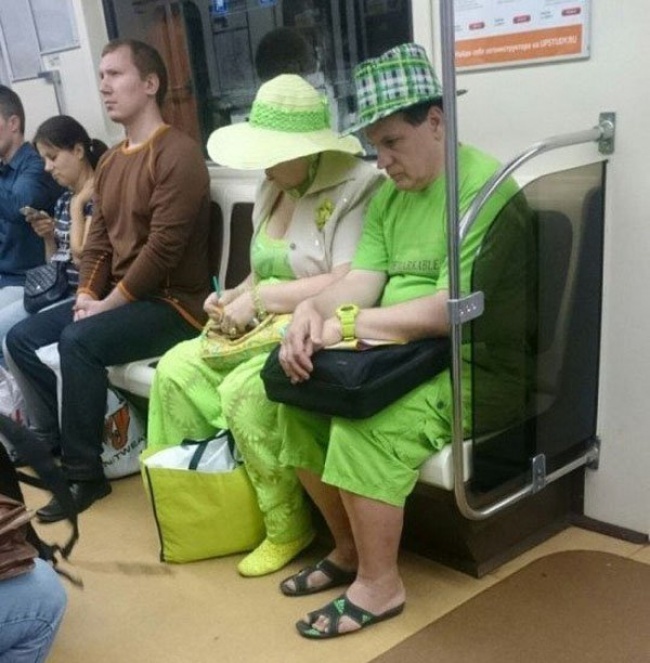 It is more than obvious that his wife was the one who decided what they should wear, and we find her taste in clothing to be more than controversial, not to mention the weird colors. Her husband was probably more than embarrassed to be there! We believe that some people should think twice before attempting something. This haircut was the result of a mistake for sure! There are two possible options here. 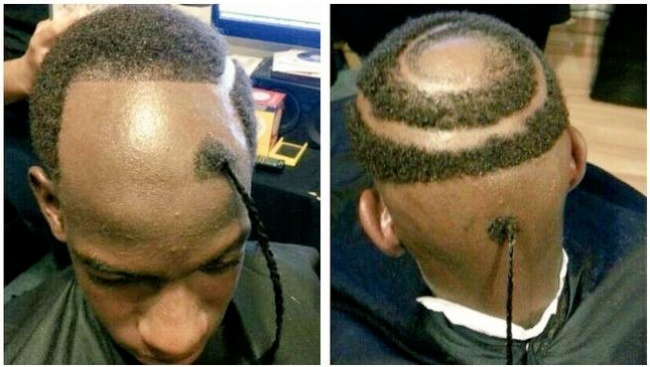 Either the hairdresser was not sure what to do or how to meet the customer’s requirements, or the customer found it hard to explain the initial idea about the haircut! It is definitely a frustrating end result! Sometimes you just cannot help it and you feel down. The reasons for this are numerous, and one of the most probable ones is that you actually want to be somewhere else instead of where you currently are. 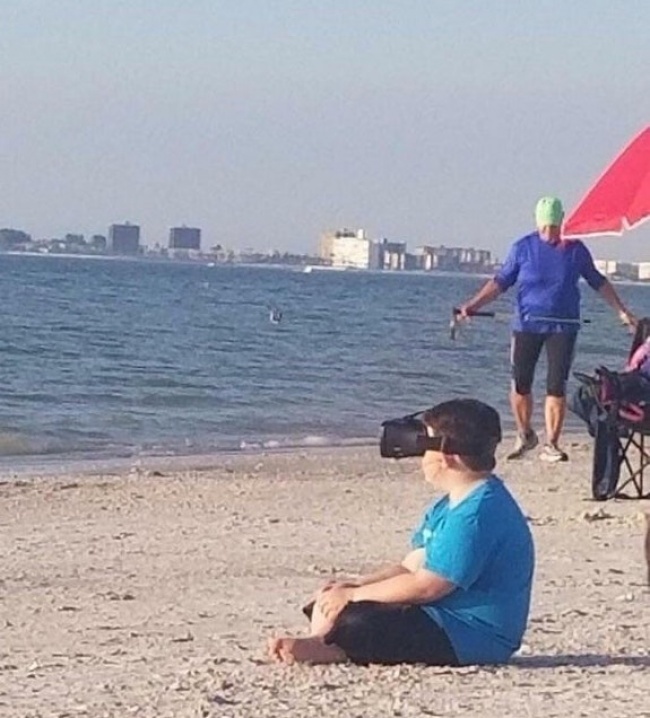 We believe that this boy looks like he feels lonely because he does not want to be on that beach or it turn out to be different than he expected. 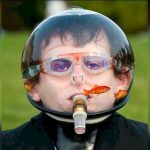 This is why he decided to use virtual reality goggles in an attempt to escape to the preferred location. If you are wondering what exactly is in this image, the answer is obvious! The image was taken by a person whose cat really loved chewing on chargers! 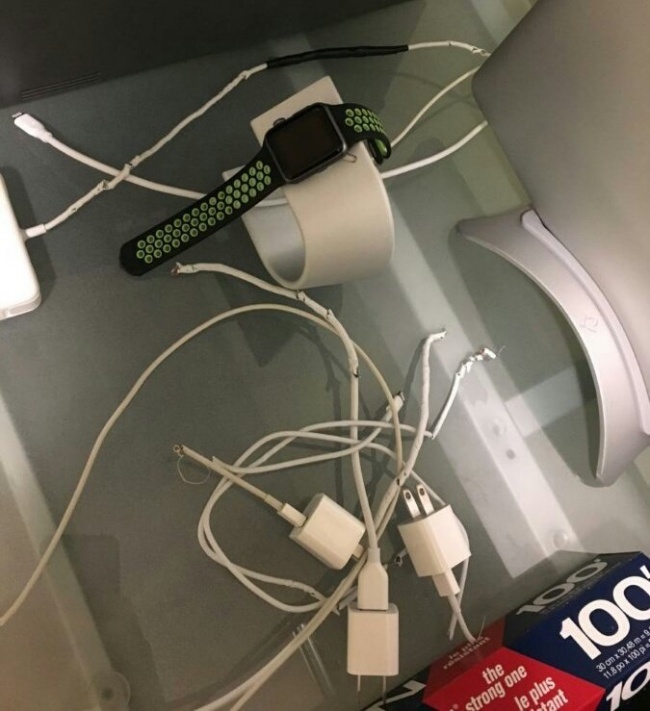 Perhaps the person hoped that these chargers were just put away somewhere or the cat dragged them under the bed, but eventually they found the secret charger stash the cat created. It is definitely a frustrating sight to see. Well, needless to say, this is one obvious proof of the above-mentioned reminder that you should be careful when you shop online! The things that can go wrong are numerous and this is why you can never be sure if it will go as planned or not. 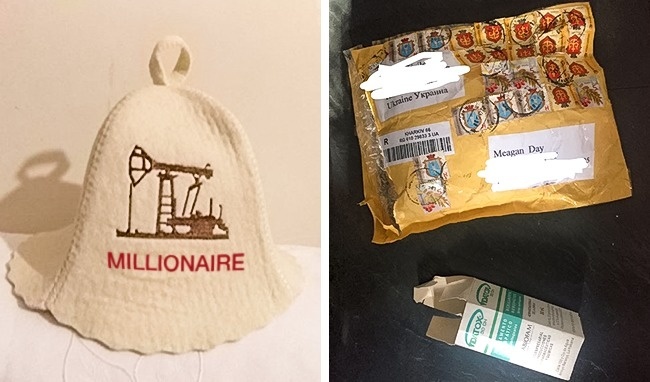 In this case, the person who ordered a hat got something totally different instead. 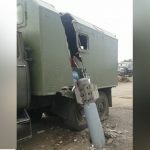 We are not sure if the customer made a mistake and placed the wrong order or the seller allowed a mix-up to happened, but the frustration is guaranteed in this case. This is a classic example that you should always be careful what you wish for! As you can clearly see, the drink this person received has an egg in it! They were disappointed by it, but they asked for it themselves. 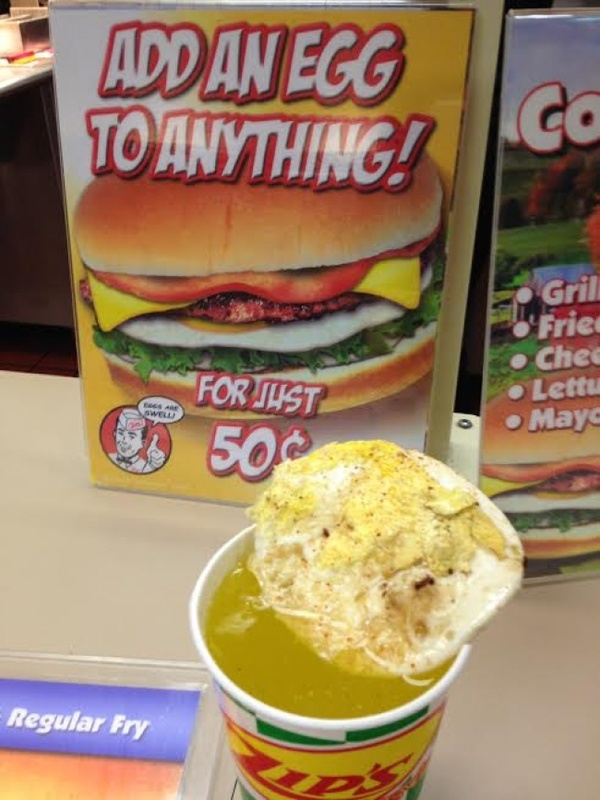 The sign in the back said that the place offered an egg for an additional 50 cents with every order, so this person tried to be funny and order an egg for their drink. The staff was obviously not kidding! It seems that vendors are able to pull off a trick on their customers even with their cheapest products. We have no idea why they created this lollypop wrapper like that, but one thing is for sure – it was no accident! 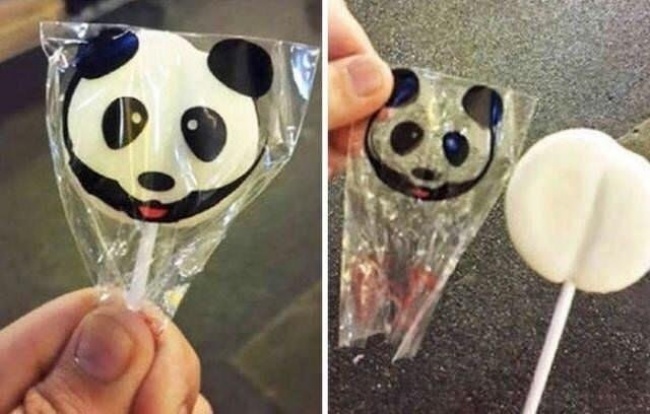 They knew that people would by this panda-themed lollypop because it looks cute but once a person pulls it out of the wrapper, an immediate feeling of disappointment settles in and it is not a pleasant experience. This is yet another example of a deceitful description of a product. As you can see, the image on the product packaging looks tempting and anyone would like to have a few of these. 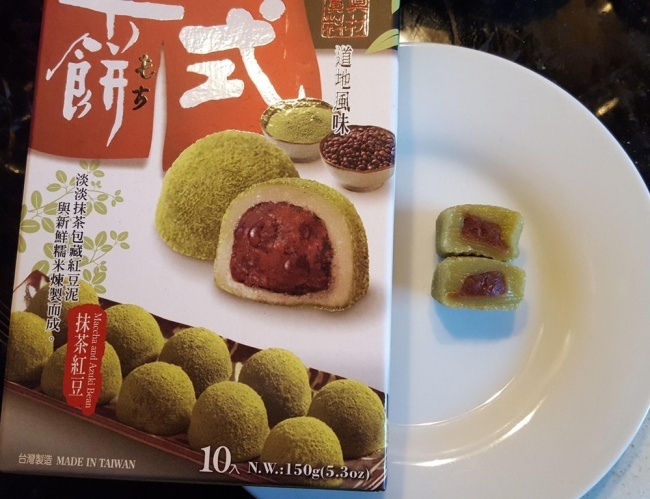 Unfortunately, once you open the package and see what is inside, you will feel disappointed, because the actual product has nothing in common with the one pictured on the package. It is no secret that one of the most important things which happen to be an essential part of the ceremony is the wedding cake! It is always curious to see it because there are probably many ways to create a wedding cake but the decorations are always unique. 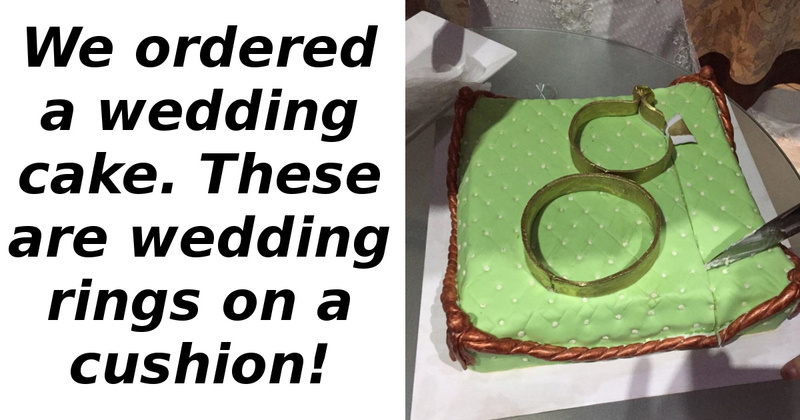 The trouble is, some bakeries are probably not qualified enough to meet the requirements of the future spouses and these situations end just like the one in the image did. These wedding rings are not supposed to be this big!